March is birding madness in Costa Rica. People with binos roam the forests in lightweight khaki clothes. They hold up traffic to stare into a flowering tree, take over hotels, and DEMAND easy access to bird feeders from the hot sunny coast to the high reaches of the misty paramo. Although I honestly wish that was the case and that we would have a four day holiday where everyone is encouraged to do a Big Day, we play as demure a role in Costa Rica as we do in most places. Sure, there are more of us in Costa Rica right now but there are also way more tourists who don’t bring binoculars, nor any field guides, digital or otherwise. That’s alright because this post isn’t about birding wishes or dreams, it’s about real life choices between where to start and end a trip to Costa Rica. The Zamora Estate: Not that far from the airport, this place protects some of the last remaining wetland habitat in the Central Valley. Gray-necked Wood-Rails and Purple Gallinules come to the feeders along with other, more common species. 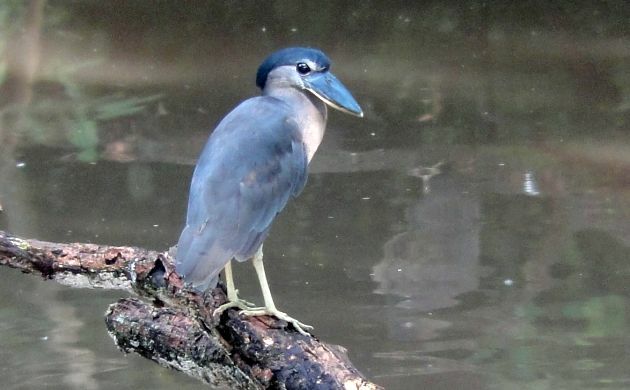 Boat-billed Heron can also be seen during breakfast, and several dry forest species are possible. Xandari: This place is even closer to the airport, has lots of beautiful gardens, organic food, and a trail for Long-tailed Manakin, Red-crowned Ant-Tanager, and maybe even Sunbittern. Hotel Bougainvillea: Despite not being that close to the airport, the “Boug” is a classic place to start and stop a Costa Rica birding trip, and continues as a very popular place to stay. The gardens are lovely, have various common birds and occasional ground-sparrows, and a chance at roosting Tropical Screech-Owl. 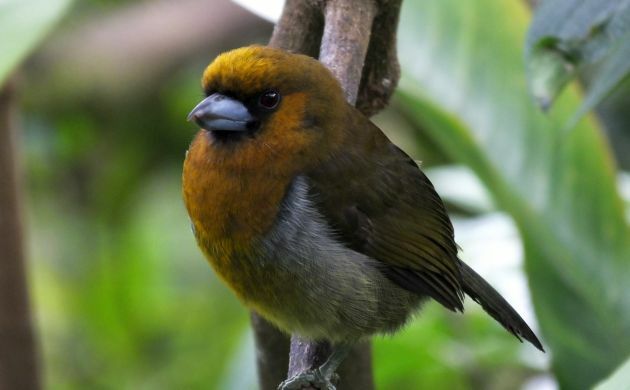 Poas Volcano Lodge or nearby: Head to the mountains for lots of highland endemics including Prong-billed Barbet, Yellow-thighed Finch, several hummingbirds, and so on. Just 45 minutes from the airport. Cerro Lodge: Around an hour and a half from the airport, this is the place to stay when birding Carara National Park. 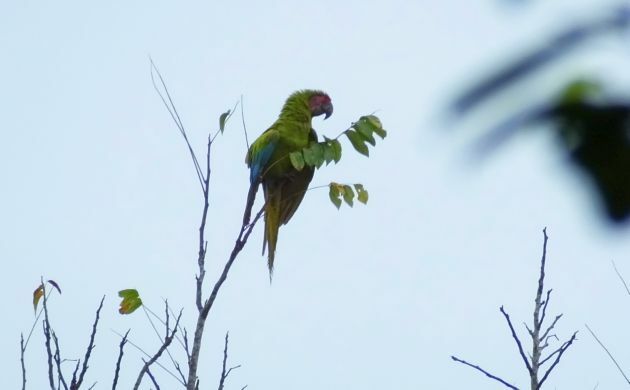 Watch Scarlet Macaws fly by along with several other species of parrots and parakeets, have a good chance at Crane Hawk and several other raptors, many dry forest species, and maybe Black-and-white Owl at night. Sarapiqui: The classic birding region known for La Selva is around two, or two and a half hours from the airport. Several places to stay, excellent lowland forest birding around some of the hotels and in private reserves, and a good chance at fancies like Great Green Macaw, Snowy Cotinga, toucans, and more. A distant look at a Great Green Macaw. Liberia: This northern town gets a mention because it has its own airport. If you can find a flight, you won’t have to worry about traffic, can start and end the trip with dry forest birding, mix it up with the beach, and be within striking distance of Jabiru. 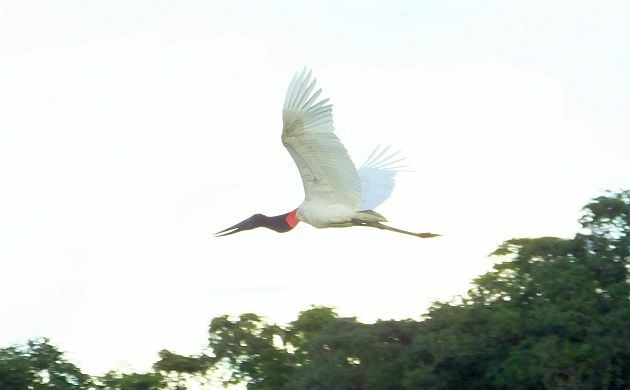 A Jabiru is a monster stork. Since Costa Rica is a such a small place, heck, you can go even further afield without too much worries and stay at sites just 3 hours from San Jose at most. Stay at Rancho Naturalista for a blend of Snowcap, fantastic feeder action, excellent guides, and wonderful cuisine. Say hello and goodbye to the Resplendent Quetzal at the Parasio de Quetzales (Quetzal Paradise), or look for Keel-billed Motmot, White-fronted Nunbird, and a bunch of tanagers in the Arenal area. Most importantly, no matter where the final night is, just keep on birding. I wish. Oh do I wish.